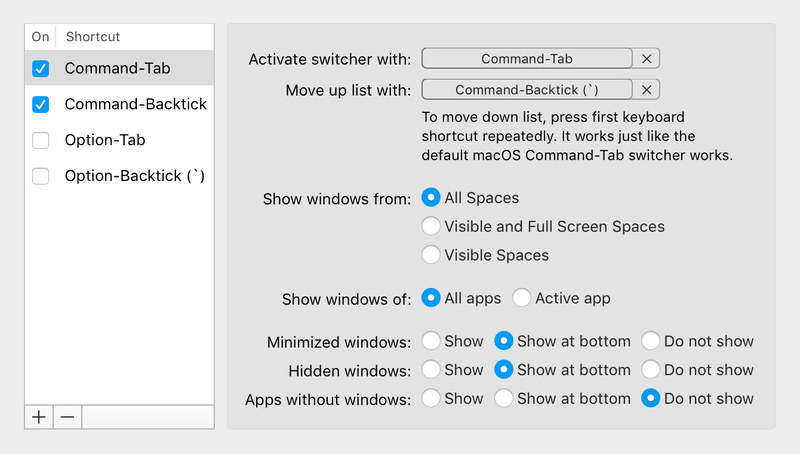 Contexts 3 Radically simpler & faster window switcher Switch between application windows effortlessly — with Fast Search, a better Command-Tab, a Sidebar or even a quick gesture. Includes fantastic features for multiple spaces & multiple displays. Version 3.7.1. Works on macOS El Capitan, Sierra & High Sierra. EULA. What if you could switch to any window with two or three keystrokes? Now you can. Contexts lets you switch to windows with search. 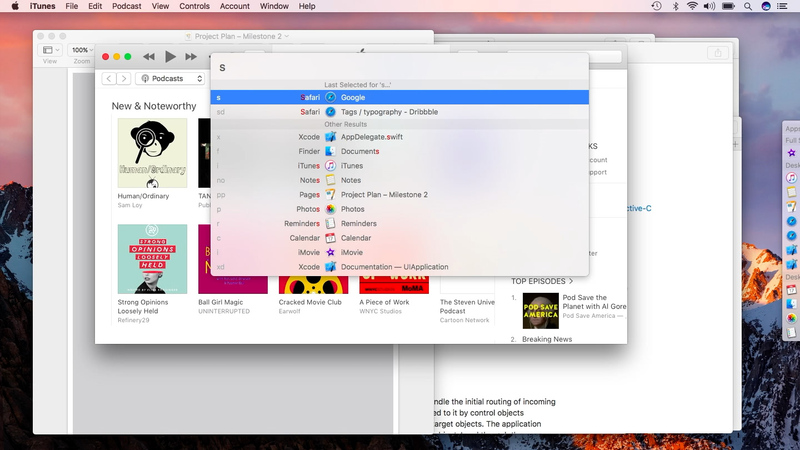 Press Control-Space (or whichever keyboard shortcut you prefer) to open the Search window. Type a few characters from an app name or window title to filter the list. Press Return to switch to the selected item. Matches non-consecutive characters. You can type characters which are anywhere in the app name or window title. If an app has multiple windows open, type a couple of characters from the app name and a couple from the window title. Prioritizes acronym matches. Character matches at start of the app name and start of any words in the window title get a higher score. Most of the time typing the acronym of an item’s title is sufficient to make it the first result. Creates search shortcuts. Once you type a search query and select a window (with up or down keys if necessary), typing the same query later will cause that window to be the first result. E.g. type “s”, select Safari window from results and from then on that window will always be the first result for “s”. Fast Search. If you want to go even faster, enable Fast Search, hold down the Fn key (or whichever modifier key you prefer1) and type a one or two character query (or a longer one if you want to). The Search window will appear with the results. Just release Fn and the selected item will come to the front. 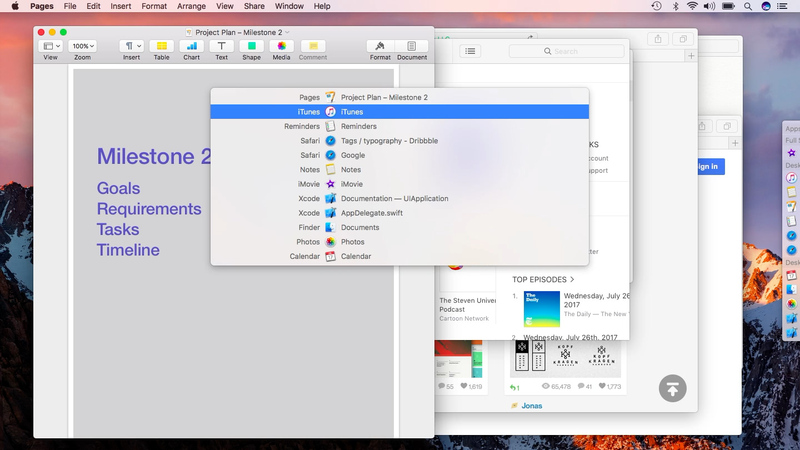 Combine this with search shortcuts and you can switch to Safari with Fn-s, Notes with Fn-n, Messages with Fn-me and so on. In two or three keystrokes, that is. 1. Contexts recognizes left & right modifier keys separately. So you can set Fast Search to use, for example, only the left Option key or only the right Option key. The other modifier key will continue to work as it does by default. Command-Tab Switch with a better Command-Tab. 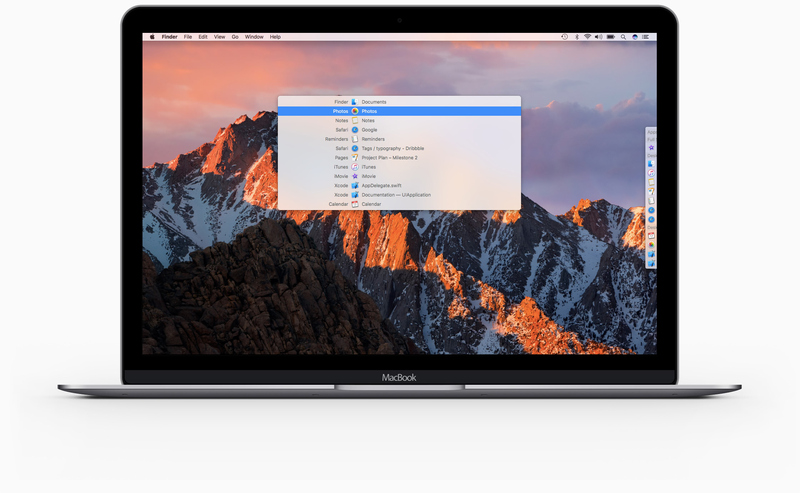 Mac’s Command-Tab App Switcher does not work very well for apps with multiple windows, right? So Contexts gives you a better one — which lists windows separately. Press Command-Tab to see the list and then press Tab multiple times to select the app or window you want to bring to the front. Release Command to switch to it. Command-Backquote (`) similarly shows a list of windows of the frontmost app and lets you switch directly to the one you want. There is no need to bring forward windows of the frontmost app one by one until you get to the right one. Filter by Space. See windows from all Spaces, from only visible and Full Screen Spaces or just those on currently visible Spaces. Sort by Importance. Do you like to hide or minimize less frequently used windows? Then set them to show at bottom of the list or to not show at all. Have Multiple Switchers. Set one configuration for Command-Tab. Another for Option-Tab, or whichever keyboard shortcut you prefer. Search. If you have lots of apps or windows open, press Command-S or Option-S and then a few characters from the app name or window title to filter the list. Close, Quit, Minimize, Hide. Press Command-W, Command-Q etc to perform the corresponding action on the selected app or window. 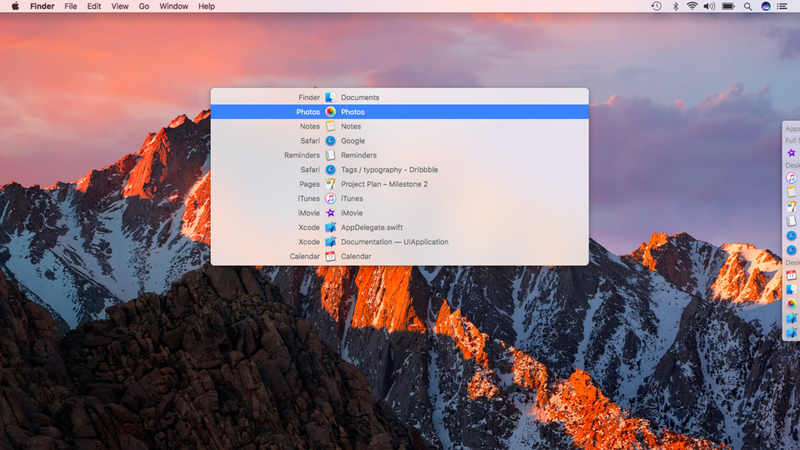 Clear up multiple apps or windows quickly. Extensive options let you configure it to fit the way you work. Sidebar Switch with a click. 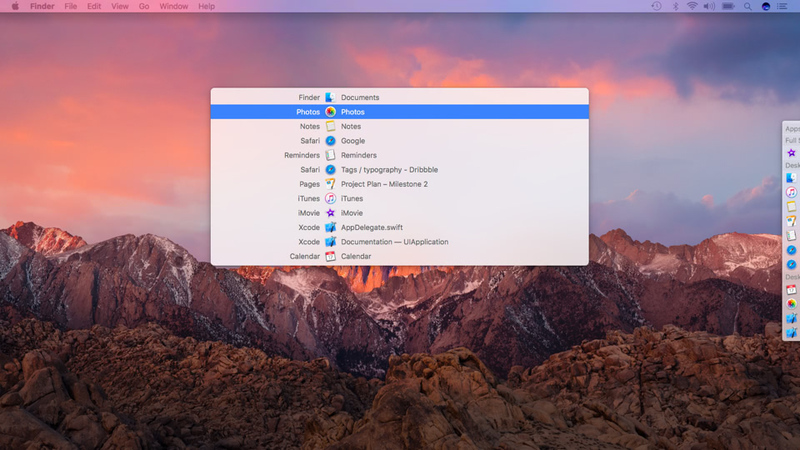 An auto-hiding Sidebar lists your windows grouped by Space. To switch just bring the cursor over to the one you want and click. Its basically a Dock — for your windows. Filter by Space. The Sidebar can list windows from all Spaces or only the ones on currently visible Spaces. Badges. The app icons show count badges like on the Dock. So feel free to leave the Dock hidden. Visibility. Hide it temporarily with a swipe right gesture or set it to always stay hidden until you move the cursor to the edge of the display. Gestures Switch with a scroll gesture. You do not even need to move the cursor all the way to the Sidebar and back. Start scrolling down with two fingers from the top edge of trackpad at either the left end or right end. The list will appear and the selected item will change as you move your fingers down or up. Lift fingers to switch to the selected item. It is very simple. Very efficient. Dark Theme Go Vibrant Dark. Contexts is carefully crafted to look and feel like it is part of the operating system. 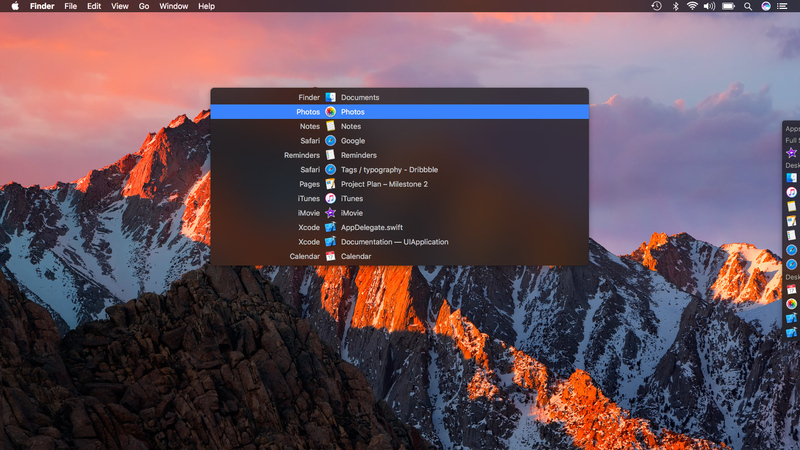 And the Vibrant Dark theme looks gorgeous with the dark menu bar and Dock. What’s more, its strong contrast with the generally light colored content of windows makes finding the right item in the list faster and easier on the eyes. Macs are designed for multiple displays. Your window switcher should be too. 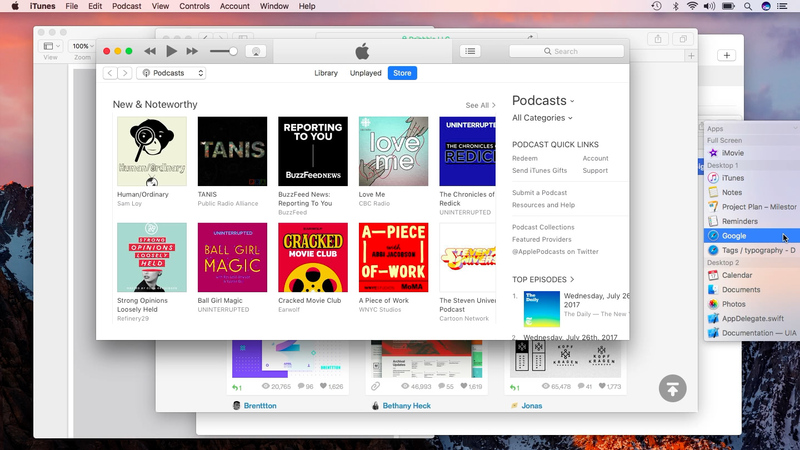 The center window shows simulatenously on all displays by default. 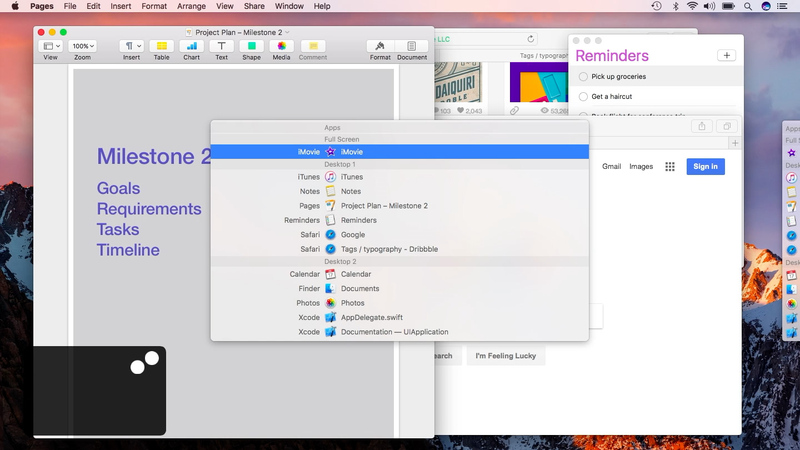 So you no longer have to turn your head to look for your window switcher on another display. It will be right in front of you whenever you invoke it — always. And of course, each display can have its own Sidebar — which if you like, can list the windows on that display only. You probably switch windows 100s of times a day. Contexts will let you do it effortlessly, each time; so you can stop hunting around and stay in flow.